Yildiz Shotguns for Sale | Delta, BC | Stillwater Sports Ltd.
Yildiz Shotguns is a Turkish-based shotgun manufacturer, offering a “step up” in the sporting and hunting shotgun market. 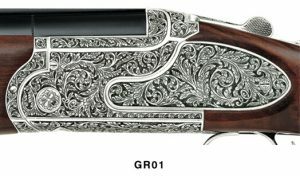 As you can tell from the image, Yildiz produces hand-made metal engravings in the shotguns they produce, adding a touch of elegance and tradition to your firearm. Not every firearms retailer offers Yildiz brand shotguns, and we are pleased to be able to offer this fantastic brand in our Ladner store. Come in today and check out our selection of Yildiz Shotguns.